This piece has loads of vintage paper, vintage wall paper and vintage birds. 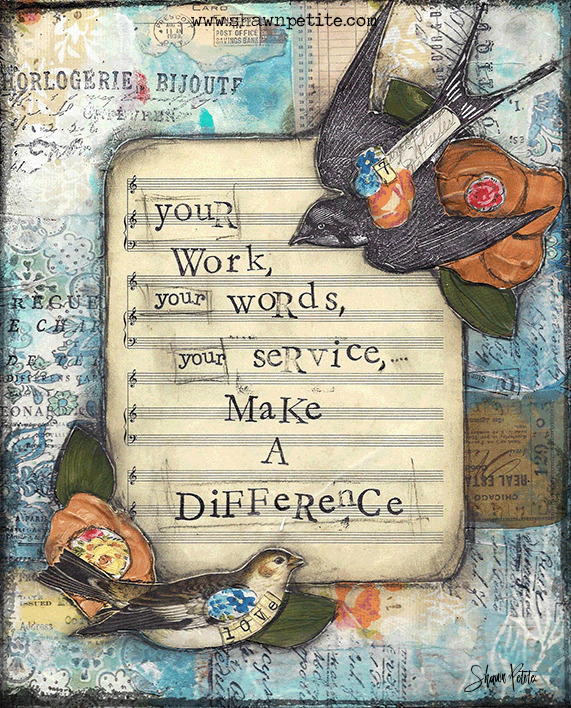 and a great reminder that you make a difference. Great for gifts. Created on 3/4" wood substrate with sides and back painted black with key hole hanger on back. Signed and sealed with a soft gloss sealer.